The Brandy Smash is one of those great classic cocktails that is so classic that it saw its heyday during the Civil War. Though it was created sometime around the 1830s, the 'smash' hit the big time during the 1850s and 60s. It is a timeless drink that needs no improvement and enhancement, yet there are a number of ways to make it. The first recipe is a modern incarnation of the Brandy Smash and below that you will find one pulled from Jerry Thomas' 19th century bartending guides. Some recipes call for club soda, others opt for water. Some employ a muddler and others require a shaker alone. 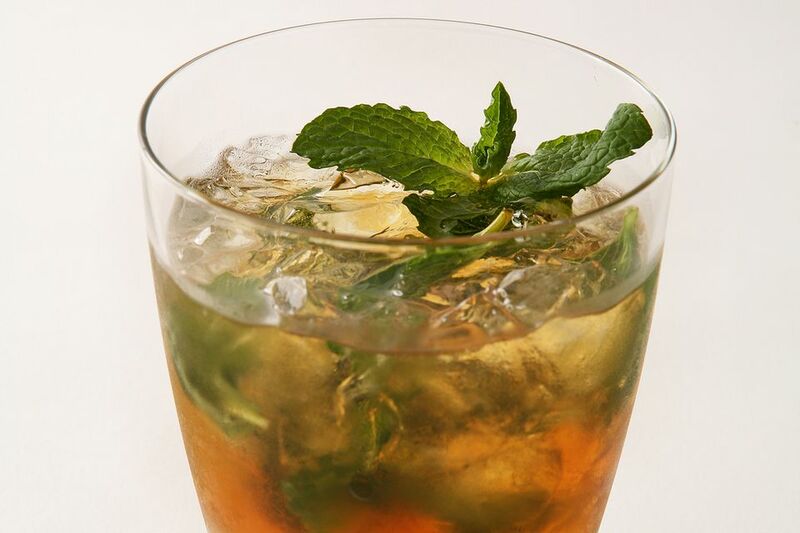 Mint, sugar, and brandy are the constants in almost every Brandy Smash and it is often compared to the Mint Julep. Both drinks were created around the same time and the smash was also often made with either bourbon or rye whiskey. The Gin Smash was another popular adaptation and any of these spirits can easily be used in either of these recipes. Muddle the mint, sugar (or syrup), and club soda in an old-fashioned glass. Taken from David Wondrich's book, "Imbibe!" (Second Edition), this is the Brandy Smash that 'Professor' Jerry Thomas would have constructed during his days behind the bar in the late 1800's. Thomas was the first to document cocktails in his 1862 book, "How to Mix Drinks or The Bon Vivant's Companion." Wondrich's book is an indispensable guide to understanding it and putting it to use in the modern world. To make Thomas' Brandy Smash, dissolve 1 teaspoon of superfine sugar (or gomme syrup) in 2 teaspoons of water inside your cocktail shaker. Add 2 ounces of brandy and 2 sprigs of mint and shake well. Strain into an old-fashioned glass filled with cracked ice and garnish with mint or an orange slice and seasonal berries. If you like, whiskey or Holland gin (better known as genever) can be used instead of brandy. These substitutions would make the Whiskey Smash or the Gin Smash. The Liquor. Whether you choose brandy, whiskey, or gin, the liquor forms the majority of the drink, so make it a good one. This is the drink that you should be pulling out the good stuff for. It deserves the best and there is little else in the drink to disguise a poor choice. The Sweetener. If you will be using sugar instead of syrup, be sure to mix it properly so that it is completely dissolved. That is why Wondrich recommends dissolving it in the water of Thomas' recipe and why bartenders tend to prefer simple syrup over straight sugar. The gomme syrup recommended by Wondrich in the original recipe is a classic style of simple syrup that uses gum arabic to give the drink a silky texture. It is often used in alcohol-heavy cocktails like this. The Mint. Fresh mint really is best for either of these recipes. This is just one more reason why bartenders may want to think about growing fresh mint indoors all year. How Strong Is the Brandy Smash? The brandy is the main ingredient of the Brandy Smash and it is understandable that the strength of the finished drink is just slightly below the bottling strength of the liquor. If an 80-proof brandy is used, then the first drink would be about 23 percent ABV (46 proof). The second recipe would not differ much, weighing in at about 28 percent ABV (56 proof).